Doreen started in the telecommunications industry at Vista International Communications, a small telecommunications provider in New Jersey. There, she served as a manager in various organizations, including human resources, operations and sales support. Through a series of acquisitions, Doreen landed at AT&T in 1998, where she became a key member of the indirect channels team She serves as the compensation and support Manager for ACC Business. 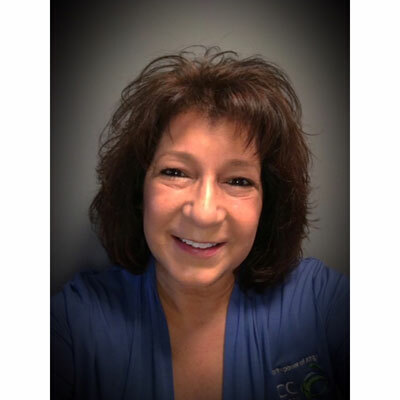 Doreen is responsible for solution provider compensation, internal sales results reporting, compliance, sales support and solution provider training. She also leads several process enhancement projects. Doreen enjoys working directly with our partners to understand their unique business needs and back-office functions. She strives to find ways to enhance or streamline the support offered by ACC Business wherever possible to meet their individual needs. Doreen obtained her associates degree in business communications in 2013, and continues to utilize the AT&T library of training resources to expand her knowledge in the ever-evolving telecommunications industry. I have served as compensation and support manager at ACC Business for more than 20 years. My knowledge, expertise and dedication allow ACC to be an industry leader in accuracy, timeliness and troubleshooting. The relationships I have built over the years with our solution providers enable me to help solve for business operating needs, system improvements and key enhancements to ACC Business for the solution providers. Our program is all about relationships, both with our solution providers and their customers. Understanding how different each of our agent models are is key to helping ACC grow and our agents get the information they need. My goal is to gain even stronger relationships with our ACC solution providers to learn their continued needs. This will help me create better tools, processes and solutions for them, to advance ACC Business's position as an industry leader. In 2018, I am meeting with our top partners to really learn each of their "models." Then, I take this info back to our team to help enhance our tools, based on agents' feedback. This way, we can help them successfully manage the influx of orders to ACC and accommodate their needs. Coming off my recent favorite book, I would choose author Kay Bratt. Her volunteer work at an orphanage morphed into a passion for advocating for the necessities those children lacked. It was tremendous to read of her strength to fight when needed and her silence when she had no other choice. She was able to secure many surgeries for children who easily could have died without her efforts. I'd like to think her work left a legacy for others to continue. She made a real difference in the lives of many Chinese orphans. For that, I admire her so much. Listen more and talk less, there are many lessons to be learned in really listening more and talking less. Also, don't sweat the small stuff. There is SO MUCH small stuff. It'll pass. And most of that small stuff probably won't matter a year from now. I would like to learn more about big data analytics. A data-centered approach to predictions and conclusions would help me become more effective and efficient, which could increase revenue opportunities. I love the investigative part of my current role - finding answers to improve system tools, processes and many other complex issues. In this industry, I believe we all have some manual data gathering experience, but I have always been curious about the way big data is performed through software applications. Silent Tears: A Journey of Hope in A Chinese Orphanage, by Kay Bratt. Kay Bratt had tremendous faith, courage and strength while volunteering at a Chinese orphanage for years. I couldn't put the book down. I was engulfed page by page, hearing the stories of the many children she and others helped at the orphanage. Her volunteering turned into advocating for funds and basic necessities these children lacked. It was tremendous to read of her strength to fight when needed and her silence when she had no other choice.